A St. Petersburg business’s online site is the first thing a customer sees after Googling their name. Having a less-than-desirable web design can turn potential clients away, and you want to make a good first impression. A company’s online presence is a critical factor in attracting customers. 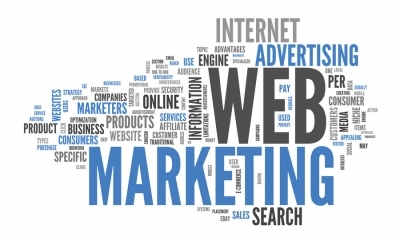 Optimize your chance at clientele by utilizing our specialty: all things online and marketing. Our team is unique for many reasons, but the most important is that we get results. And if we get results, that means you do as well. Our clients are the most important part of our business, and helping you is our goal. All of these services can boost and promote your website to potential clients, driving business to your company in St. Petersburg. We go through six different steps when doing web design for each of our clients. These are all unique and important and together are what make Strategic Web Design the best in St. Petersburg. The first step we take is discovering our client. We want to know who you are, what your business is, and what you are looking for. We take down your goals, ideas, and desires so we can collaborate on your site, starting you on your journey to becoming the best in St. Petersburg. You company is represented to customers through your site, so we want it to represent who you are and what you’re about. Taking what we discovered in step one, we will then use our expertise to create color schemes, layouts, and pictures that tell a cohesive story about your brand. Every detail must be in order, and we run a number of tests to make sure everything is perfect. From browser tests to user-friendliness, we can fine-tune and adjust the site to your specifications. This step never stays in a particular order, because we are constantly doing it! We put our creative team on the project from the start so that we are always coming up with fresh and unique ideas for your site. Once we’ve created the perfect web design, we have to fill it in. Our professional copywriters create high-quality materials that are written specifically for your site to inform and attract readers from all over, not just St. Petersburg. The final step is to launch your site. Don’t worry though; we train you how to make any changes you may want in the future. Once your site is live, you will meet with our web designers who will show you how to make simple changes to your site, however, we are always available to help. You have full control, and we are here to assist you. These set us apart from other companies in St. Petersburg because not only do others not offer them, but we do them right. Making a site SEO-compliant is a huge part of what we do at Strategic. Search engine optimization is the best way to make your site pop up in the top results of a search page. When you Google something, do you ever really go past the first page of results? Your answer is probably a resounding “no,” and for good reason; approximately 95% of search traffic stays on page one. We use creative content and unique methods alongside our web design to organically push your site up to the top of page one. It can take time to see SEO results, but the investment is more than worth it when 33% of search traffic goes to the number one position on the first page of a Google result. Located in the Clearwater and St. Petersburg area, we are ready to help you make your business the absolute best it can be with our professional team of web design superstars. Whether you need a brand new site or you have one that needs a makeover, we can help you with every step of the way. Our agency handles social media marketing, digital marketing, reputation management, indoor advertising, and more. For any and all of your marketing needs, call Strategic Media today at 727-531-7622. Get a free preliminary SEO assessment to see where your site needs assistance and what we can do to improve it.